The Conservatives must get over this need to emphasise George Osborne’s importance at every turn. It sounds forced and has done since before Ken Clarke came back – plus it’s not doing the shadow chancellor any favours. The most recent example was one of William Hague’s answers on Marr this morning. 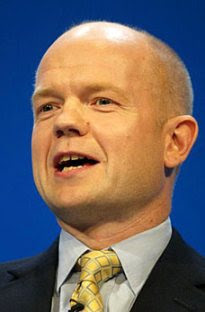 The skeletal presenter had just asked Hague whether he was now deputy leader of the Conservative Party. “I’m David Cameron’s deputy,” he said. While Marr, myself and the rest of the country were wondering what the need for all this trifle was, Hague answered without anyone asking. 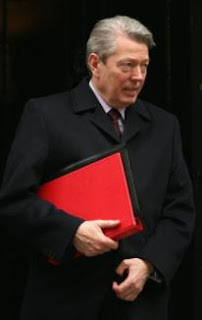 The other political interview on Marr was Health Secretary Alan Johnson. Downing Street officials were, earlier this week, encouraging other members of the cabinet to talk about the economy to take the strain off Brown. They singled out Johnson and accused him of keeping a low profile. I’d say he probably has – not wanting to tie himself, and his ambitions, to the deck of a sinking ship. Rebuffing accusations Johnson seemed to query how he could be keeping a low profile if he was on the Andrew Marr show. The question is obviously whether he would have been on the Andrew Marr show had he not been accused of keeping a low profile. Missed Marr this morning, but you raise a valid point about Osborne. I am not sure the wider public takes much notice of this stuff, however true. the trouble is George doesnt do a good job of self promotion does he?? Poor George doesn't seem quite comfortable with the visual media. Maybe a few confidence building lessons would relax him. LD, did you think Marr was miffed because he didn't get his trip to Switzerland? Subrosa: Him and his entourage.